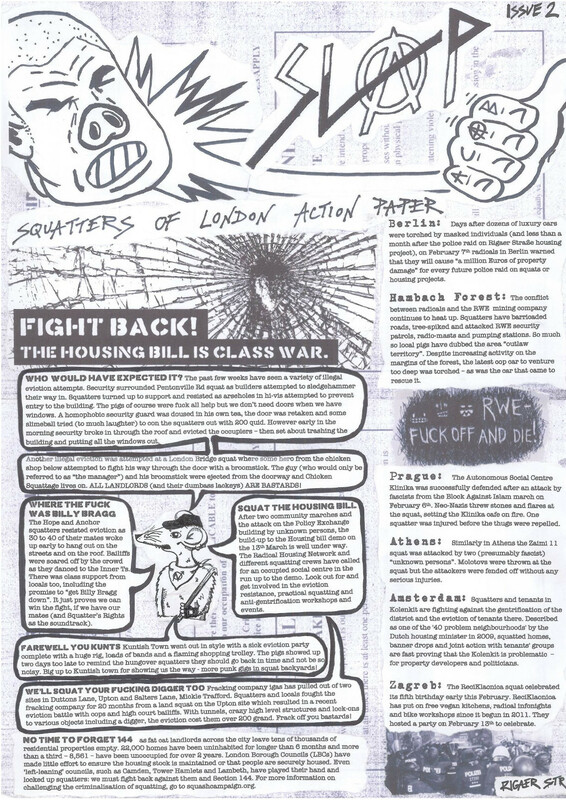 Squatters of London Action Paper is a London freesheet for squat news, actions, history and events. 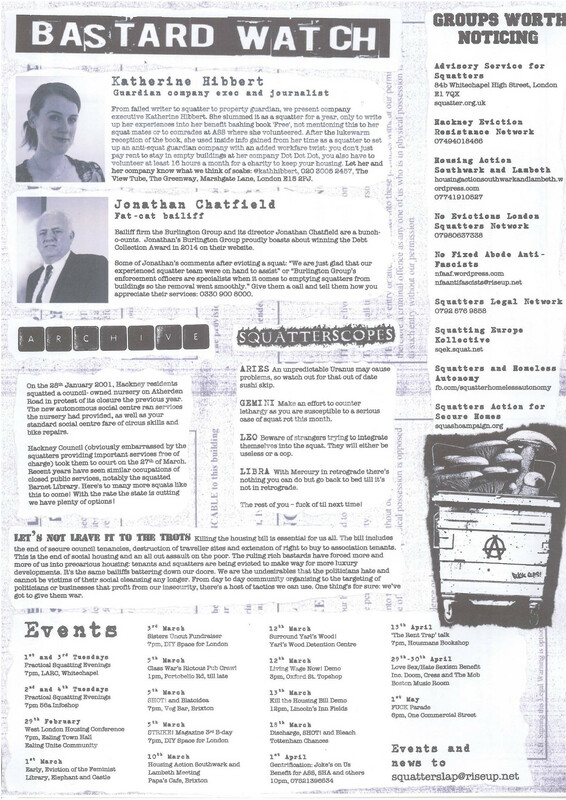 Paper copies soon available at Freedom Bookshop in Whitechapel and 56a Infoshop in Elephant and Castle. 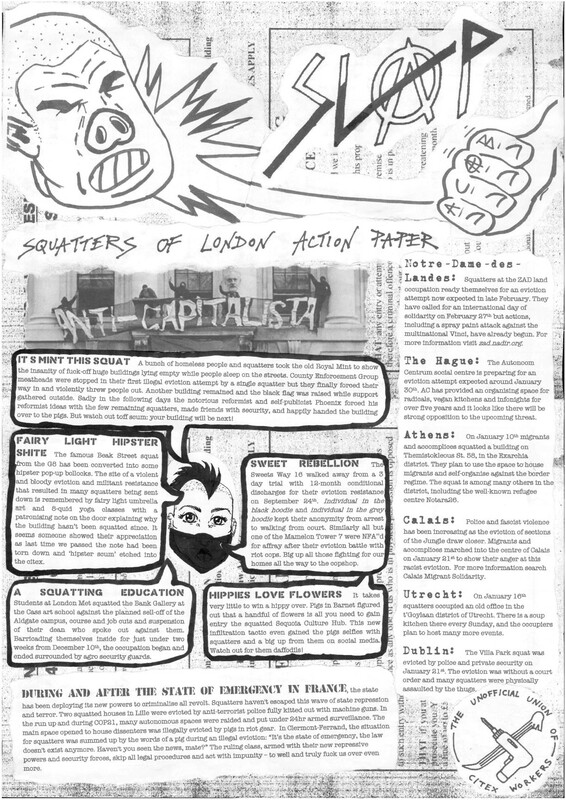 Squatters of London Action Paper is a new London freesheet for squat news, actions, history and events. 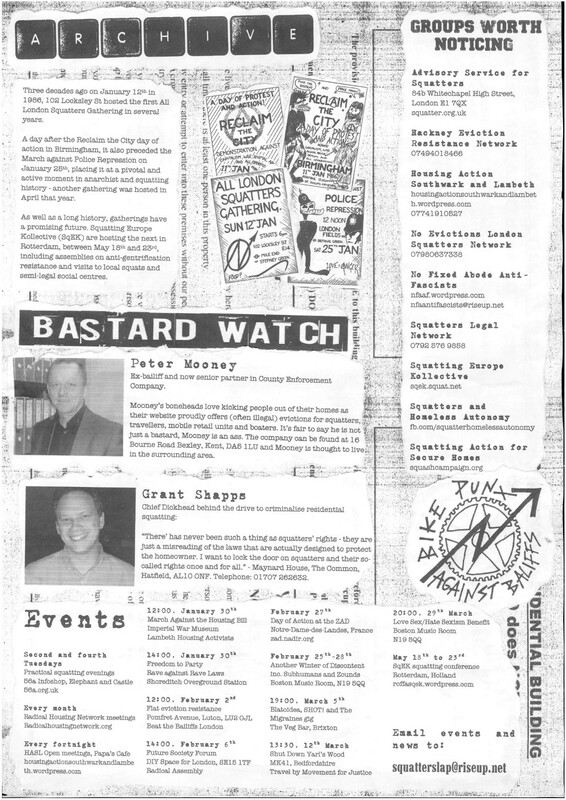 Paper copies soon available at Freedom Bookshop in Whitechapel and 56a Infoshop in Elephant and Castle.